The embattled executive director of the San Diego Association of Governments Monday requested that his retirement become effective Friday, instead of the end of this year as originally intended. Gary Gallegos announced his plan to step down after 16 years at the helm of the regional planning agency last week. He said he would leave by Dec. 31. However, in a letter sent Monday to SANDAG Chairman Ron Roberts, the county supervisor, Gallegos asked the organization’s board to waive a provision in his employment contract that requires 120 days notice. If the board doesn’t approve the waiver, he would resign 120 days from Monday, he said. SANDAG has come under intense criticism since it was learned that staff knew of faulty revenue projections associated with Measure A, a proposition to raise the countywide sales tax by a half-cent to fund transportation and environmental projects, but failed to inform board members or the public before the vote. Measure A fell short of the two-thirds support necessary for passage in last November’s election. A recent investigation by an Orange County law firm commissioned by SANDAG — which primarily delved into details of the failed economic forecast — also found that agency executives ordered the deletion of documents related to the issue that were less than 60 days old. 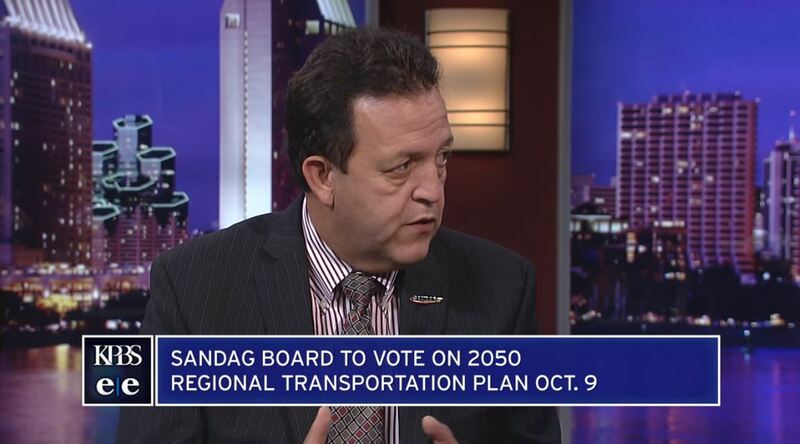 “Given SANDAG’s necessary focus on fixing a broken financial forecasting model, and for future boards to coalesce behind a public funding strategy critical to our region’s prosperity and transportation future, Gary’s early departure will jump start the discussion on what type of executive director the full SANDAG board would like going forward, and the national search for candidates that will result,” Roberts said in a statement. Gallegos’ request for early retirement is scheduled to go before SANDAG’s executive board on Friday.